Young and beautiful, Isabel Archer thinks that she is in control of her fate. Little does she know, however, that others behind the scenes are pulling the strings. 2. Deceit The beautiful and free-spirited Isabel Archer is now a very rich woman. Two men have declared their love for her but she does not want to be married. Resolved to enjoy her fortune, she begins her travels. 3. Truth Isabel has been married to the handsome and urbane Gilbert Osmond for three years. Like a sparkling and brilliant jewel, she is part of his collection of beautiful things, but she is about to discover a startling truth. Thank you to Marnix for this. Anna Maxwell Martin and Matthew Macfadyen explore through poetry and prose a subject that has exercised some of the greatest minds of all time: self-improvement. What is the value of seeking out knowledge, physical improvement and enlightenment through self-teaching and motivation? With words of wisdom from a variety of sources across the ages including Confucius, Kant, Tennyson, Charlotte Bronte and Alan Bennett, together with music by Elgar, Clementi, Rimsky-Korsakov, and Bob Dylan. Airs tomorrow at 10.15 on Radio 3. What lies at the heart of the labyrinth? Minotaur or man? Fear or delight? We're all fascinated by labyrinths - whether they're an impenetrable jumble of box hedges in the garden of a stately home or the multiplying reflections in a hall of mirrors. We move through them at the speed of dreams - sometimes as quick as a flicker of lightning sometimes as slow as the drift of sand in an hour glass. From inside they can appear both menacing and beguiling. From outside they can be treated as an engaging puzzle but one where the solution is never in doubt. This evening - should you accept their invitation - you can join Rory Kinnear and Anna Maxwell Martin in a maze of words and music. Along the way you are likely to bump into George Herbert, Thelonious Monk, Arvo Part, Erik Satie, Jorge Luis Borges, Edwin Muir, Bach and Francis Seyrig - some of them more than once....even if you don't lose your way or your nerve. Anna to star in new movie project You Want Me To Kill Him? Jack O’Connell, who will star with Ruth Wilson and Anna Maxwell Martin in the film You Want Me To Kill Him?, based on the true story of a young man who hacks into an internet site and becomes embroiled in a murder. A couple of scenes of Anna in The Night Watch as Kay. BEVERLEY-born actress Anna Maxwell Martin is in the running for her third Bafta for her role in period drama South Riding. The ex-Beverley High School pupil is a contender in the leading actress category of the British Academy of Film and Television Awards. She was nominated for her role as the inspirational head teacher of a girls' school in the BBC's adaptation of South Riding. The period drama, which was filmed across the region, was based on the novel by East Yorkshire author Winifred Holtby. 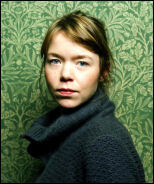 Anna Maxwell Martin nominated for lead actress Bafta. A huge congrats to Anna for being nominated for the leading actress category at the Television Baftas for her role as Sarah Burton in South Riding, I hope its third time lucky as she was brilliant in SR and she previously one it twice.